Skye Gravestones | Jessie (MacDonald) & John MacNab. Jessie (MacDonald) & John MacNab. 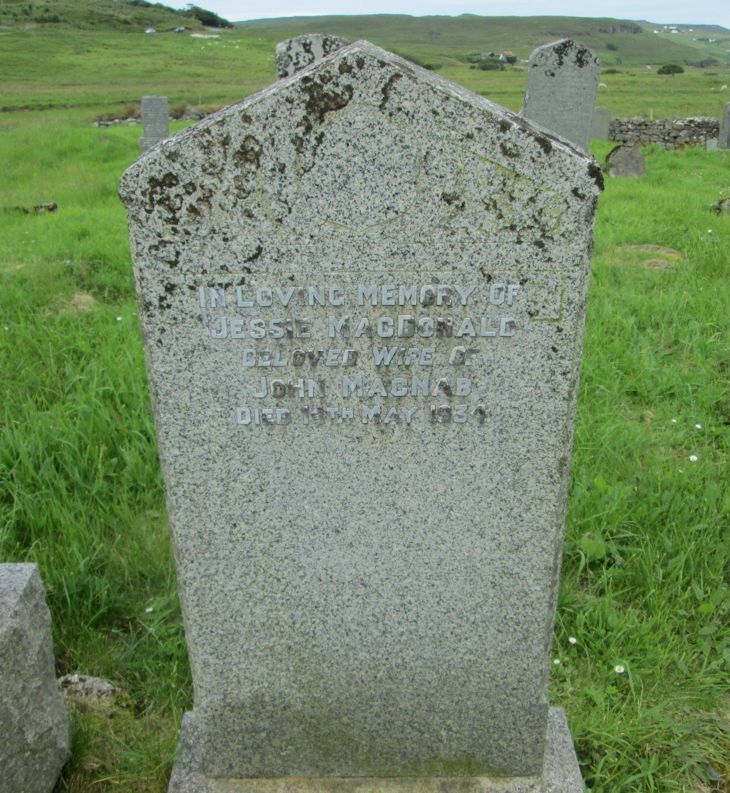 In loving memory of/JESSIE MacDONALD/beloved wife of/JOHN MacNAB/died 14th May 1934. Picture Added on 24 June 2014.